Cazual Games introduces Toy Balls! 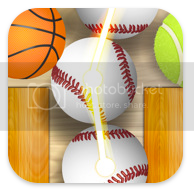 Lite, the free version of their popular game for the iPhone, iPod touch, and iPad. Players must use their quick reflexes to rescue toy balls, before the electro-zapper toasts them. Players swipe as many balls as possible, while navigating in-level obstacles, labyrinths and mazes. Combining intuitive game play, ingenious game physics, tricky level mechanics, and beautifully crafted visuals, Toy Balls! is the perfect fix for hours of endless entertainment! Athens, Greece – Application development studio, Cazual Games, announces today the release of Toy Balls! Lite, a free version of their popular game for iPhone, iPod touch, and iPad. Toy Balls! Lite offers 6 levels of the original addictive arcade game, as well as intuitive game play and physics. It all begins in a wooden universe where balls roll and move around. The objective is dead easy to pick up; the player must rescue as many balls as possible by connecting them together, before they touch the electro zapper and get toasted. What makes this game so hypnotic is that while all the toy balls are the same size, they vary in weight and elasticity. As they fall there are unpredictable collisions between balls, between levers, and between balls hitting levers. The result is a classical toy ball dance, with realistic momentum, rotation, balance, bounce, sliding, action, and reaction. Each of the eight different balls is rendered in convincing detail, allowing the viewer to enjoy their rotation and interaction. The player must swipe as many balls of the same kind as possible, while navigating in-level obstacles, labyrinths and mazes. Longer chains earn higher points, achievements and the coveted 3-star ranking! The more balls saved, the more that will fall in the level, making it a race against the zapper! There are more than 30 dynamic wooden unlockable level boards, each with different obstacles to overcome and achievements to earn. What makes this game even more interesting and addictive is that it generates balls in a unique and unrepeatable way in each level. So, even if the same level is played more than once, the gameplay is totally different! The possibilities are endless with this creative physics based puzzler. Toy Balls! Lite is a free game in the Apple App Store, in the Games category. Upgrade to Toy Balls! and Toy Balls! HD for $2.99 and $3.99 respectively. Both are featured in the ‘What’s Hot section for Arcade games. Review copies are available upon request. Located in Athens, Greece, Cazual Games is a business unit of Innovative Micro Solutions, specializing in mobile games & apps. Their releases for iOS include Toy Balls! and Kodix. For the past 20 years, IMS is expert in design, implementation and support of integrated MIS solutions. Our know-how is the basis for offering world class services for Telecommunications Software Platforms for Mobile Operators and their Resellers, Real Time Software Design and Implementation, Off-Shore Custom Software Development, System Integration and Services and Consulting and Project Management for Large Scale IT Projects for the Greek Public and Private Market Sectors. Copyright (C) 2011 Innovative Micro Solutions SA, All Rights Reserved. Apple, the Apple logo, iPhone, iPad and iPod are registered trademarks of Apple Inc. in the U.S. and/or other countries.